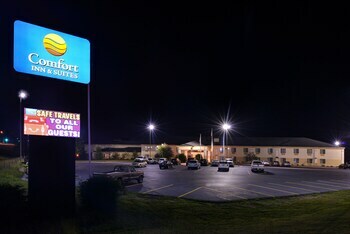 A stay at Comfort Inn & Suites places you in the heart of Black River Falls, a 4-minute drive from Jackson County Historical Society Museum and 6 minutes from Sand Creek Brewery. Featured amenities include a 24-hour business center, complimentary newspapers in the lobby, and a 24-hour front desk. Planning an event in Black River Falls? This hotel has 2400 square feet (216 square meters) of space consisting of conference space and meeting rooms. Free self parking is available onsite.